Praise Report: 256 Pairs of Shoes! How many pairs of shoes do you own? Two, five, ten, twenty? I read recently that the average American owns 17-19 pairs of shoes. 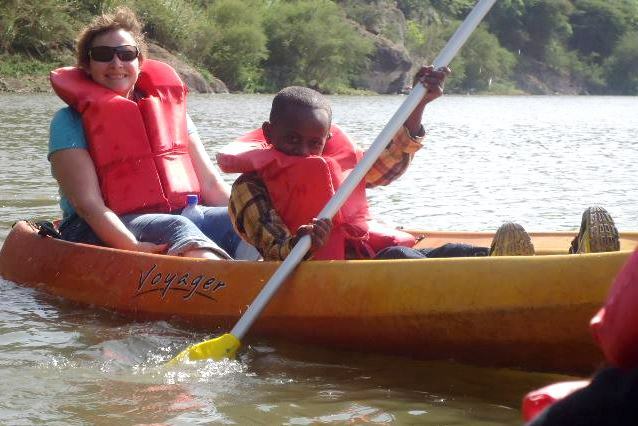 But this is drastically different for the children and families in Ethiopia and in the BCI program. The vast majority of the children in our program have only one pair of shoes. If they have two, then they are considered very blessed. 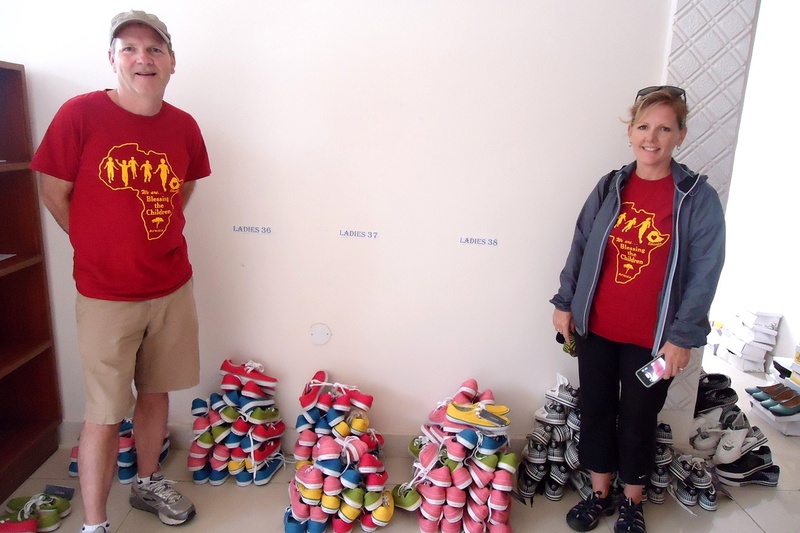 Two team members from Oregon, Steve and Sara, recognized this need and wanted to make a difference in the lives of the BCI families by blessing every child and every guardian with a new pair of shoes. That totaled to 256 pairs of shoes!! 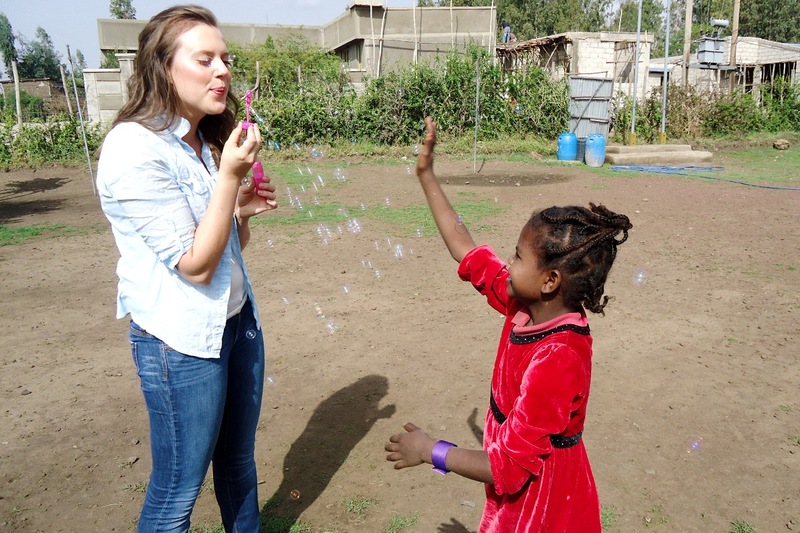 Steve and Sara came up with this idea after hearing about an experience that their friend had on her last trip to Ethiopia. 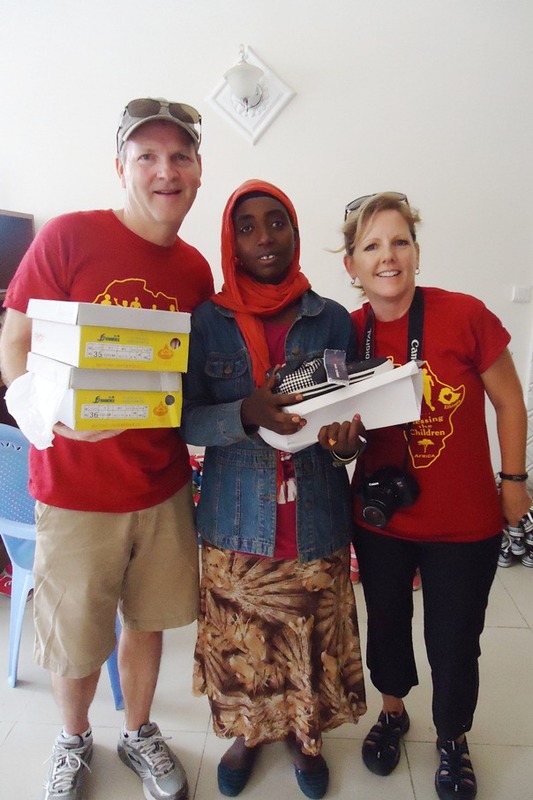 While in Debre Zeyit, their friend bought shoes for quite a few needy children and she saw the impact that the new shoes had on them. Steve and Sara talked and decided that they felt led to purchase shoes for every child in the Blessing the Children program. After thinking about it more, Sara kept thinking about the moms and guardians of the children. She felt that they deserved to be blessed as well. They both agreed that they would not only buy shoes for all of the children but for all of the guardians, as well. 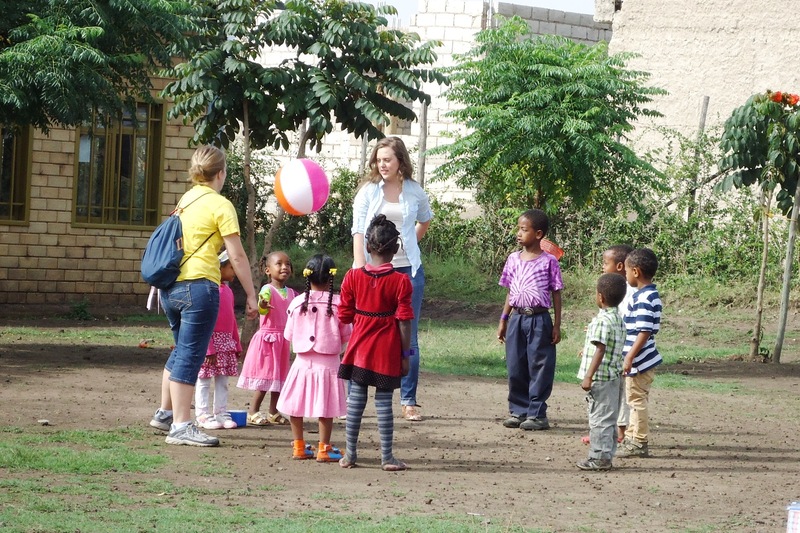 Blessing the Children staff in Ethiopia then had a huge job ahead of them. They had to gather all of the shoe sizes for every child and every guardian. 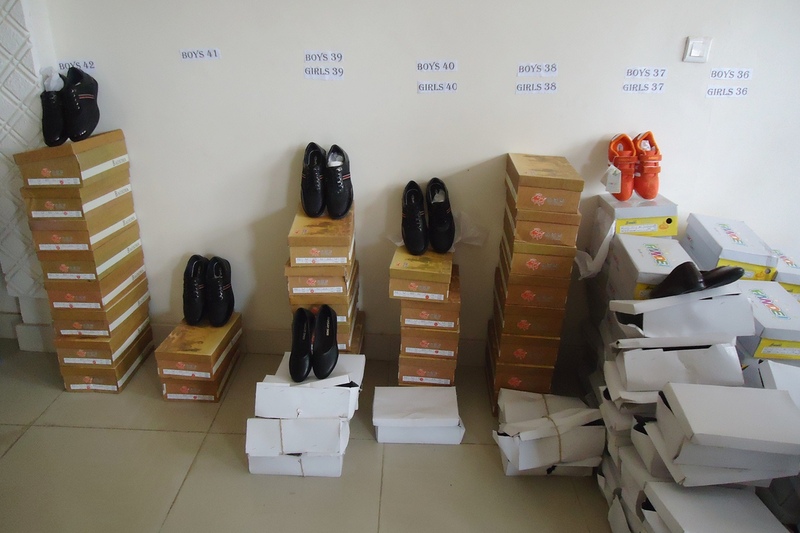 They then had to order and purchase all 256 pairs of shoes in Addis Ababa, the capital city of Ethiopia, and transport them back to the office. It was a big job, but one filled with excitement and anticipation. Steve and Sara, preparing for the distribution. “Near the end of our two week trip during the latter half of June, we went to the BCI office the morning of distribution day and saw shoes piled up and boxes stacked up, and were excited to be part of giving those shoes out to the children and their guardians. It was an amazing time for Sara and I, as we were blessed and privileged to be able to help these deserving children and families” recalled Steve about the big day. The guardians that came to pick up the shoes were very excited. In the Ethiopian culture, adults are very reserved in their emotional reactions. The unexpected blessing didn’t elicit squeals of joy or jumping up and down with excitement but if you looked closely, you could see how much this meant to the families. The more subtle appreciation could be seen by the tears, the smiles, and by watching the moms try on their new shoes. The children, on the other hand, showed their excitement in typical kid fashion – dancing around with joy! SHOES! 256 pairs, to be exact. A few moms, admiring their new shoes. Steve and Kelkias helping the children try the new shoes on for size. Steve and Sara sending Mimi home with shoes for herself and her three children. When most missionaries come to serve with Blessing the Children they focus all of their attention and effort on the children in the program. This is a great opportunity for the children to be exposed to people from different cultures. These missionaries often bless the children by bringing clothes, shoes, toys, and health supplies. The missionaries also purchase items for the children such as beds, mattresses, and blankets while they are here. 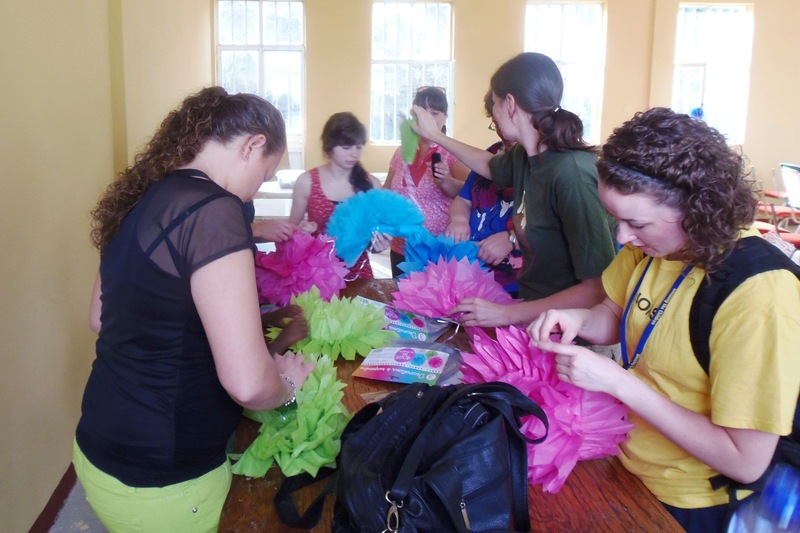 We also have had missionaries prepare programs for the children such as VBS and drama camps. But recently, we had a group of people that wanted to not only bless the children while they were here but one of their major goals was to bless the mothers and guardians of the program children. This team from Faith Community Baptist Church in Alberta, Canada came with a plan to hold an event for the unseen heroes of the BCI program. Many of the guardians in the BCI program are making sacrifices for their family to raise other people’s children. These women have taken in neighbors, extended family members, and even strangers that have needed a place to live. They are truly living out Matthew 25 where God says we are to take care of these least of these. This is also what the team from Canada did. They picked out a group of poor women in Debre Zeit, Ethiopia that society has called the least of these and they decided to serve them. They planned an event that they only invited the mothers and guardians to attend. This was a day that much planning and prayer went into. They had a huge support system backing them from their church and community in Canada. Much prayer went into this event. 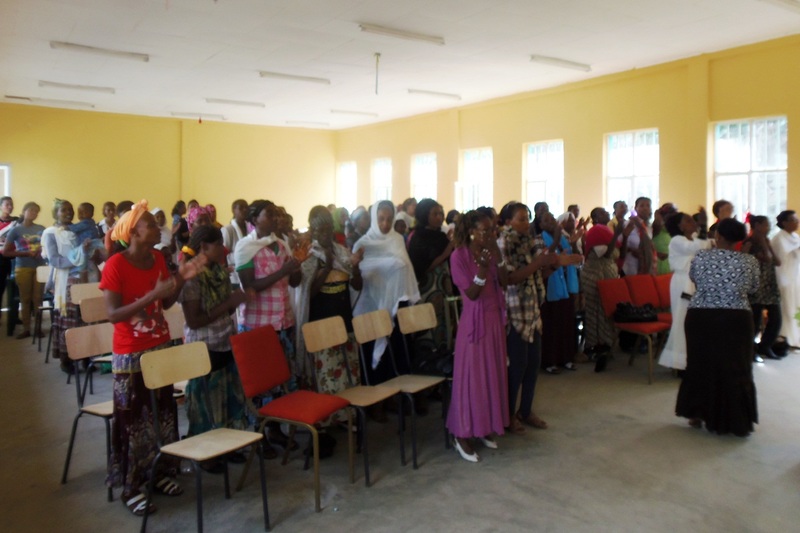 The day started with all of the women gathered together singing praises to our Lord. Next, Rachel Hildebrand (pastor’s wife of Faith Community Baptist Church) shared a message titled “What do you need God to do for you?” She talked about how everyone, rich or poor, needs something from God. We are all the same to the core in that we all need something from Him. It may be material needs, salvation, physical healing, emotional support, or any number of things. An invitation was given for the women to be able to come forth and receive prayer for the things that they needed in their life. One of the BCI moms came forward and accepted Jesus as her Savior!! After Rachel’s talk the women were divided into groups of four. There were four “stations” that the women cycled through. The “stations” were: a talk on personal hygiene, a talk on nutrition, a talk on menstrual hygiene, and a “spa” station where they could get manicures. The women were then fed lunch and were given an opportunity to socialize. But that wasn’t all. The team from Canada had a gift bag for each lady, that were full of toiletries. The women had a great time opening everything. They were smelling things and trying on lotions and finger nail polish. Each gift bag had a surprise gift in it. Each bag contained a business card for Blessing the Children Canada (BCC). The ladies were instructed to take the business card to a local shop that we partner with. When they did this they were able to exchange the business card for a new bra and a new pair of underwear. The women were so excited about this! This was such a successful event for our ladies. They were so surprised and touched that a group all the way from Canada would think about them in this way. 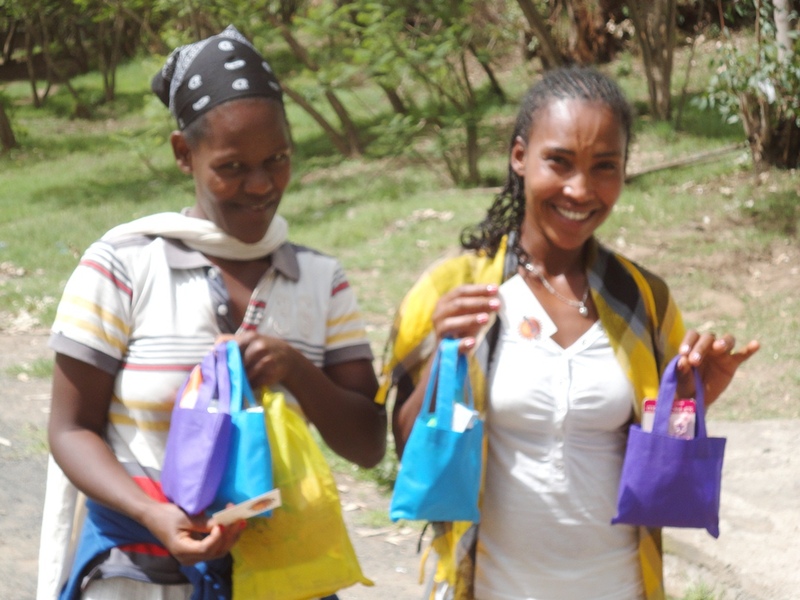 Many of the women remarked that all of the programs up until now have been geared towards the children but they were so happy that someone thought of them and allowed them to have this special day. This was such a special day. We pray that this day encouraged our moms and allowed them to see how important their roles are. We also pray that the women remember this day and know that their efforts and sacrifices do not go unnoticed. The Bible says we are to give honor where honor is due and we are so grateful that this group thought to honor our ladies. 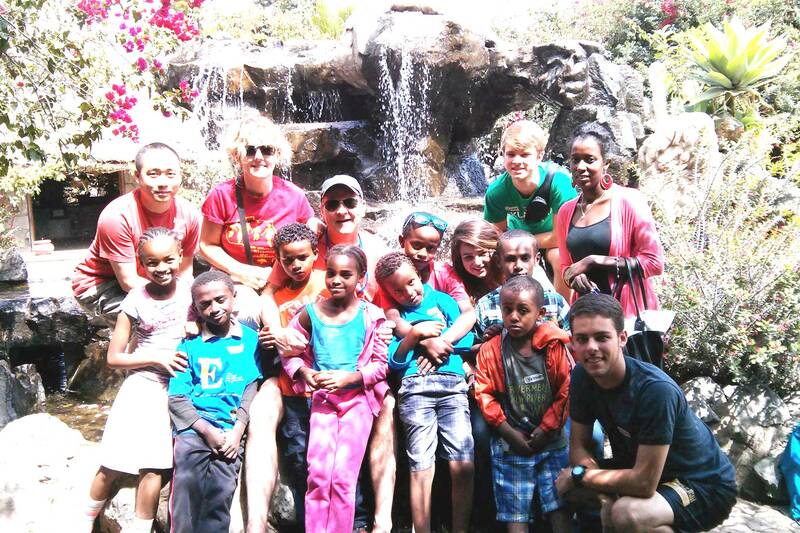 Blessing the Children has started doing something new with teams, missionaries and interns when they come on a trip to Debre Zeit. A “Love Day” is scheduled into their itinerary. 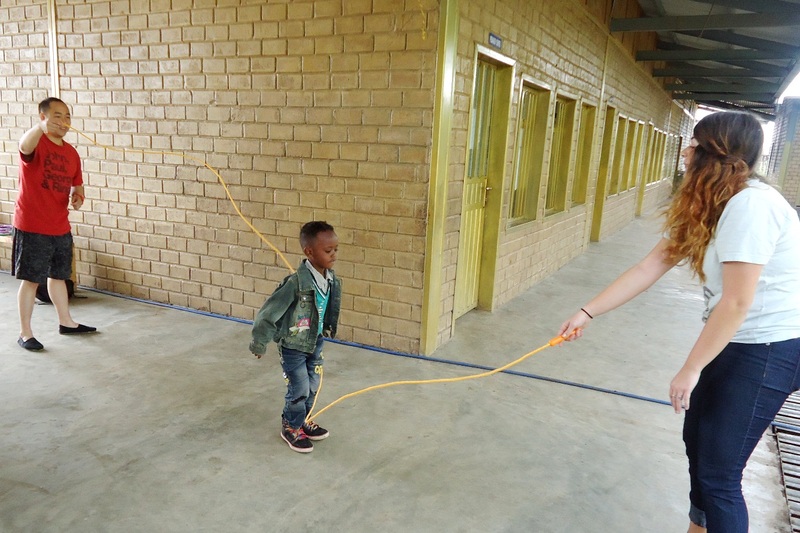 This is a day when visiting missionaries can pick out children from the sponsorship program to spend the day with doing activities, getting to know them and just loving on them. There are many activities that can be planned for this day. We have had missionaries take children to a local resort and spend the day kayaking, swimming, and eating five-star meals. Some children have been taken hiking on a local mountain and then taken out to eat on a lake. 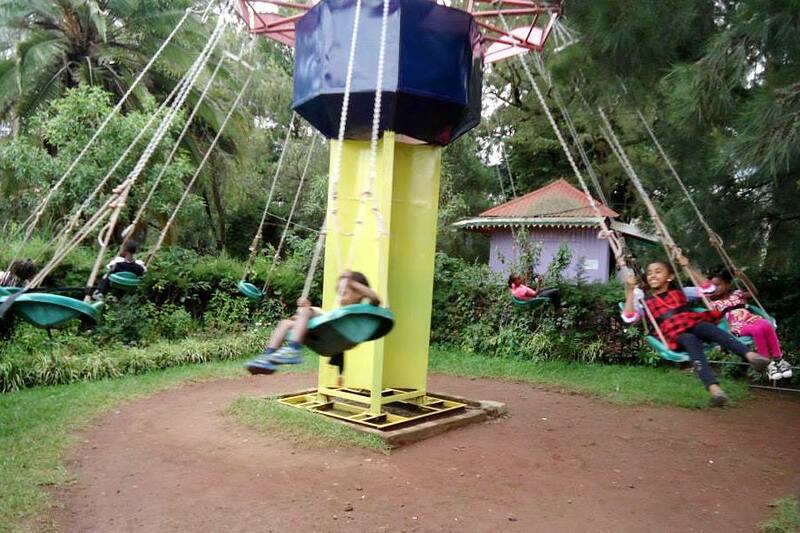 Another group of children got to travel to Addis Ababa and visit the Lion Zoo and Amusement park. Because the price of activities in generally a lot cheaper in Ethiopia, you get a lot of bang for your buck. Love Day is so great for many reasons. It allows the children to experience something new in their own country and to spend time with people from different cultures while practicing their English. We believe that by exposing children to different activities and different cultures, they will grow up to have a better understanding of the world around them. Plus, this day also gives the missionaries another way to love and spoil the children. This is a new thing that Blessing the Children has been doing and the missionaries involved so far have absolutely loved it. They have really enjoyed spending the day with a special child and seeing something new through a child’s eyes. Missionaries thoroughly enjoy spending time with children on home visits but those aren’t very long and there is nothing like spending a whole day with a child; knowing that you are giving them the opportunity to experience a new activity. We look forward to sharing this experience with many new missionaries to come. Fun at the Lion Zoo & Amusement Park. A day just for the little ones. Most often, when missionaries plan special programs for our children, the little ones usually get left out. Due to logistics of planning activities for a lot of children, it is hard to always include the littlest of our children. They have to have their own caretakers who will make sure they won’t be trampled by the older children or that they won’t wander off. They have to have their own activities that are specially tailored for their skills and abilities. The Blessing the Children staff in Ethiopia were talking recently about how we could provide the small children with just as much experience and fun as the older children get. After discussing different things, we decided that the small children should have a day all for themselves. We planned this day when we knew we would have more than enough help to implement this day. We invited only the nursery and kindergarten aged students to the school for this fun day. We had our hands full with 45 children! Many activities were planned to keep the little ones busy. We had jump ropes, beach balls, bubbles, coloring, sidewalk chalk, foot races, and basketball dribbling lessons. The kids had such fun with the missionaries playing all day. Of course, the bubbles were a huge hit! Lunch was provided for the children and after lunch, the children (and the helpers!) were tired so everyone settled in to watch a movie. It was such a special day, a great way to spend focused attention on the youngest children in the BCI Academy. Tinsae upon entrance to the BCI Program in 2008 and Tinsae at the BCI Academy in 2012. When thinking of your own life, do you sometimes like to look back to see where you were compared to where you are now? Well, at Blessing the Children (BCI) we love to do that with our program children. It is a great way to see the impact that the sponsorship program has had on a child’s life. Cute doesn’t even begin to describe Tinsae at age 2 when he was first added to the BCI program. 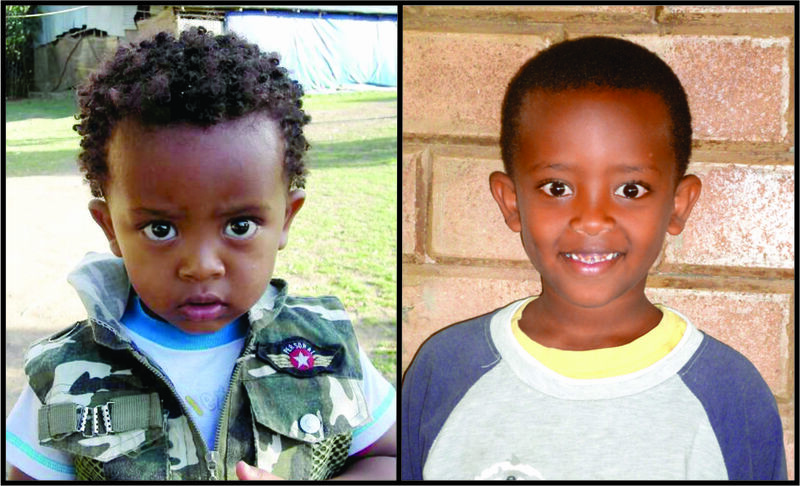 Five years ago, Blessing the Children met Tinsae and looked into his big, beautiful eyes and fell in love. Now those big, beautiful eyes look back at all that has happened to him in the past 5 years and he is so happy, grateful, and loves BCI for caring for him. When Tinsae was 2 months old his mother dropped him off with her mother and step-father. She left and hasn’t been heard from since. It is assumed that both of Tinsae’s parents are deceased. He has an older sister that is in her late 20’s but she is mentally impaired so she is unable to care for Tinsae. For the next 4 1/2 years Tinsae lived with his grandmother and her husband. They cared for him as best they could but they were both very elderly and very sick. Also, there were four other children living in the house so providing for the children was hard on only their retirement income. Tinsae very often went to bed hungry. When I first met Tinsae three years ago, he was very rambunctious, stubborn, and a troublemaker. He hadn’t been taught how to behave properly and he was always getting into trouble. I remember thinking that Tinsae was so cute with his big eyes that set him apart from other kids but he was such a trouble maker. But due to changes in his home life, Tinsae is a completely different child. He is well-behaved and polite and considerate. About 1 1/2 years ago, Tinsae’s grandmother passed away and his step-grandfather left Ethiopia to go live with his children. Tinsae’s aunt and uncle stepped up and not only took Tinsae in but they also took in the other four children that lived with the grandparents and another extended relative. A lot of times in Ethiopia, when children are taken in by extended family members they are treated as the house servant. 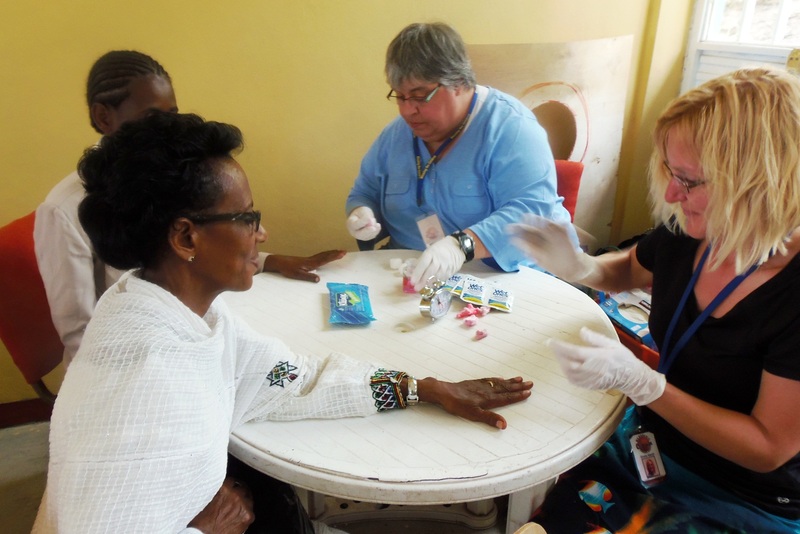 They are typically required to get up early and work until late in the evening preparing meals, cleaning, taking care of babies, and washing clothes. Fortunately, Tinsae does not have this fate. His aunt and uncle treat him as their own child. When you walk into the house there are family pictures everywhere and they all include Tinsae in them. Tinsae says that he loves being a part of the BCI program because he loves going to school at BCI Academy. He has heard about government schools and he feels happy that he gets to go to a better school. Tinsae is an eager learner. He always wants to answer the teacher’s questions and he is eager to learn new material. Tinsae is a happy, well behaved, well nourished, thriving child. Due to the help from BCI (breakfast feeding program and monthly food distribution) Tinsae is doing great physically. He also has free healthcare from the BCI program so he is rarely sick and he gets a vitamin every day at school. It is encouraging to see how much of an impact BCI has had on Tinsae’s life. BCI is happy to be a part of Tinsae’s life and to see him grow into a strong young man. We eagerly look forward to seeing what God has in store for Tinsae.